New York Jazz Academy® Jazz Ambassadors Travel Tours take you around the world, immersing you in jazz music and culture across all the continents. Previous NYJA Jazz Ambassadors Travel Tours have taken participants to Cuba, Panama, and China. Read through the tabs on this page for information on our upcoming January 2019 Panama trip. You’re invited to come along with us! 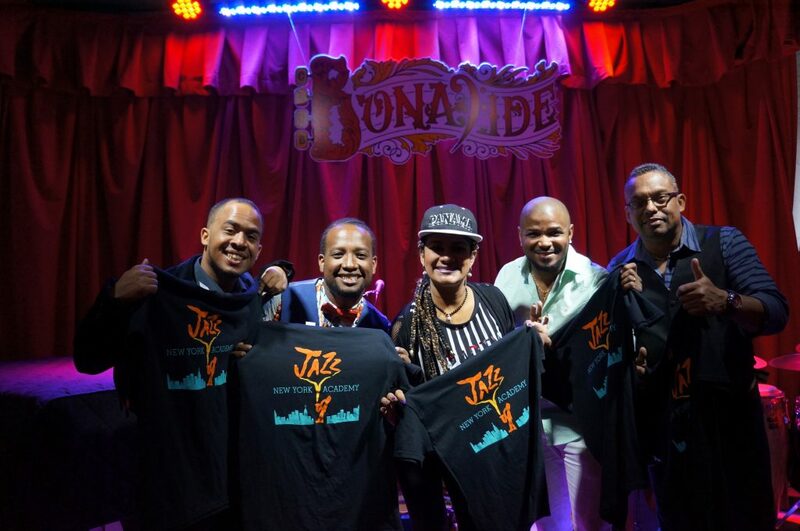 Traveling with NYJA Jazz Ambassadors Travel Tours provides culturally immersive, once-in-a-lifetime experiences that lead to a vacation and jazz intensive unlike any other. With NYJA, you are traveling with members of the NYJA community, including jazz professionals who help elevate your experience in every setting, sharing with you their knowledge of specific musical traditions of each locale, in addition to performing and coaching musicians throughout the tour. Each tour offers unique blend itinerary items—from sophisticated and enriching experiences and cultural activities to special musical moments meant for both the musician and the jazz fan. Thanks to our pro guides and our relationships with local cultural and musical experts, you’ll engage with people, cultures and traditions in ways that show you more than just the sights. Our guided tours provide access to extraordinary opportunities that aren’t available to the general public—providing you a “backstage pass” to music worldwide. Enjoy up to 5 days and nights of performances by jazz artists from all over the world, in addition to workshops and clinics presented by local and international artists, including John Pattitucci, Danilo Pérez, and Brian Blade with Children of the Light. Enjoy workshops with NYJA, NEC, Berklee, and special workshops hosted by the Latin American Music Therapy Symposium. Enjoy a guided sightseeing tour and visit the most important sites and landmarks of Panama, including the Casco Antiguo District built in 1673, the France Plaza, the San Jose Church, the Flat Arch, the President of Panama’s official office, the Panama Canal Administration Building, and the Panama Canal Locks. take you on an extended tour of the city, leaving plenty of time to shop and enjoy. Eat at landmark restaurants throughout your stay in Panama City, including the famed Azahar Restaurant. NYJA faculty are among the best in the world, and your trip will be elevated as they share the musical expertise and broad knowledge of genres and history with you throughout the tour. The American Trade Hotel is located in a prime location in Panama City. The hotel’s features include, free wifi, full bar and restaurant, gym, laundry, and an open air pool. Holiday Inn and City of Knowledge both feature a prime location, letting you bypass the city transportation system, putting you at the center of the Panama Jazz Festival activities. Amenities include free breakfast, A/C, wifi, gym, laundry, private bathrooms, and much more. As an added bonus, the location is within 1km of the Panama Canal itself. The Panama trip is designed for travelers who would like some independence while focusing primarily on the jazz festival itself. If you would like planning advice or estimates on airfare, housing, etc., email us. Upon arrival at the Tocumen International Airport in Panama City, relax as you take a short taxi drive to your hotel. If you are itching to play in Panama, then wait no further, as we head to a jazz jam session during our first few hours in Panama City. Alternatively, feel free to relax and settle in to your hotel room. Enjoy your first meal together in Panama City. Have a quick breakfast at the hotel before you head out for the day. Enjoy a dinner on your own nearby the hotel. Or ask your NYJA Guide to recommend restaurants in the area that would fit your needs. Have a leisurely breakfast at the hotel before you head out for the day. NYJA musicians will meet with local musicians in a creative jazz workshop and open rehearsal, a cultural exchange to be enjoyed both by players and jazz fans alike. Enjoy lunch at one of many small cafés and restaurants in Panama City. NYJA musicians will perform a concert at a local Panama City venue, open to the public. Thrill to traditional Panamanian dancers and musicians in their brilliantly hued costumes as they entertain you with vibrant dancing, in addition to feasting on traditional Panamanian cuisine. Enjoy the sights and sounds of Casco Viejo, the historic district of Panama City, as your guides take you on an extended tour of the city, leaving plenty of time to shop and enjoy. Savor a traditional lunch in a delightful, local restaurant. Take time for yourself to enjoy the hotel amenities and surrounding area. Enjoy a dinner on your own in the hotel. Or ask your NYJA Guide to recommend restaurants in the area that would fit your needs. Greet pianist Danilo Perez and other jazz giants and celebrate opening night of the Panama International Jazz Festival, all as VIP guest artists. Participate in jazz workshops hosted by NYJA, New England Conservatory, Berklee, and other programs. Enjoy the many concerts that are offered at the Panama Jazz Fest, including top bands and performers from Panama, the U.S.A., South America, and Europe. In between shows, catch a bite to eat at one of many recommended eateries nearby the concert venues. Continue to enjoy jazz concerts at one of many venues, from concert halls to small clubs. Grab a quick breakfast at the hotel before you head out for the day. This day trip and guided tour of Monkey Island will start by traveling along the Panama Canal in a high-speed motorboat. Once arriving on Monkey Island you will be able to see a wide array of wildlife including capuchin monkeys, three-toed sloths, howler monkeys, and various kinds of toucans. Besides the wildlife, you will also have the opportunity to relax on the island or explore on your own while kayaking, fishing, or swimming. This day trip and guided tour of an Embera Indian Village will include canoeing the Chagres River in a traditional Embera canoe, watching traditional musical dance, and an insight into Embera culture and lifestyle. Enjoy sandwiches, light snacks, and drinks on the tour. Spend some time after your tour relaxing at the hotel. Enjoy a leisurely dinner at one of many recommended eateries nearby the jazz festival. 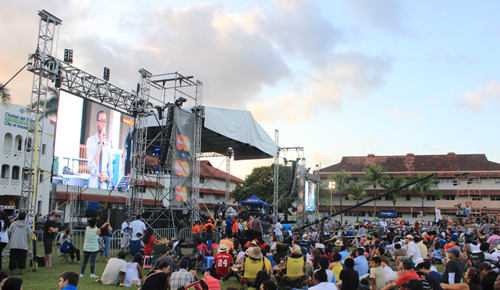 Continue to enjoy concerts by legendary artists at the Panama Jazz Festival. Enjoy a leisurely breakfast at the hotel before you head out for the day. Take the morning off and relax or explore on your own. Dine with your fellow jazz ambassadors at this final feast in Panama. Relive together the highlights of your wonderful trip. 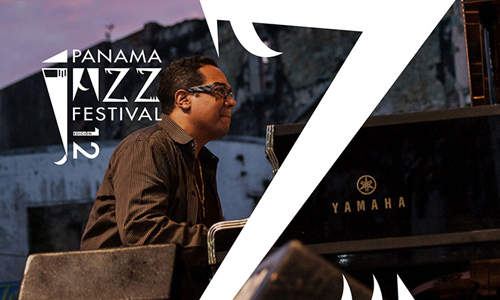 Enjoy the closing night gala of the Panama International Jazz Festival. Grab a quick breakfast at the hotel before you check out and head to the airport. Board transportation to Tocumen International Airport and say adiós to Panama—until you return again! Enjoy your flight back home. please contact us via email or phone (718-426-0633). Interested in learning more about upcoming tours with NYJA? 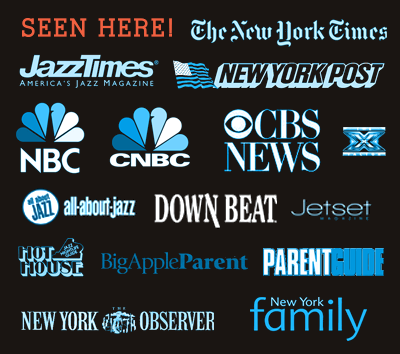 NYJA Jazz Ambassadors is the travel division of NEW YORK JAZZ ACADEMY®. Disclaimer: Trip itinerary details are subject to change. Should itinerary details change, and any items are removed from the itinerary, every best effort will be made to provide excellent alternative replacements.